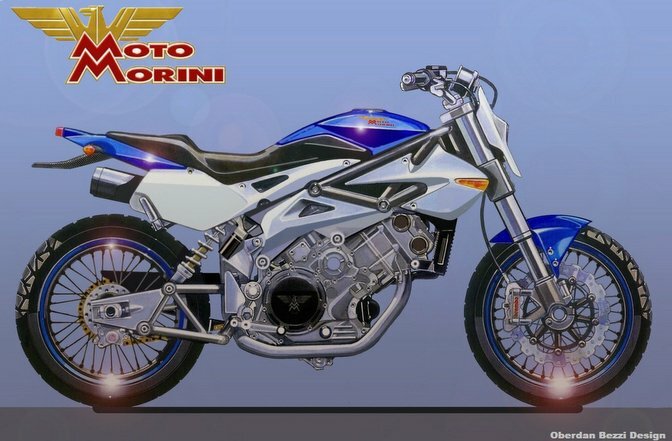 The basic design of the bike is the work from Oberdan Bezzi,a well renown italian motorbike designer, who already drawed for many italian motorbike brands. 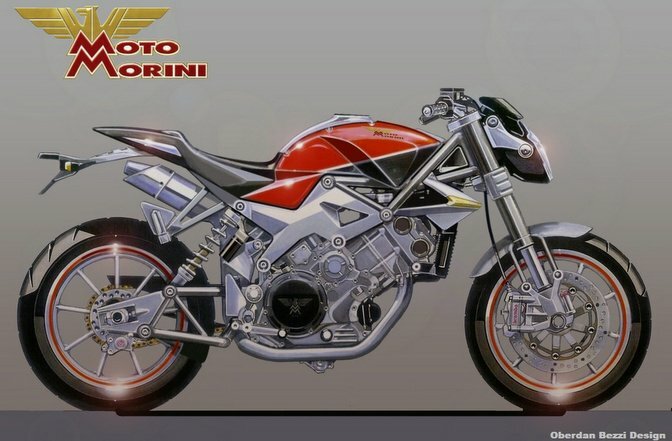 With this study from the year 2009 he stroke the nerves of the international Morini scene. Many were were addicted to the instant desire, to buy such a bike as an addition to the Morini 3 ½. If it ever would have built like that ! Who wants to get an idea of the creativeness of „Obiboi“ may look here. 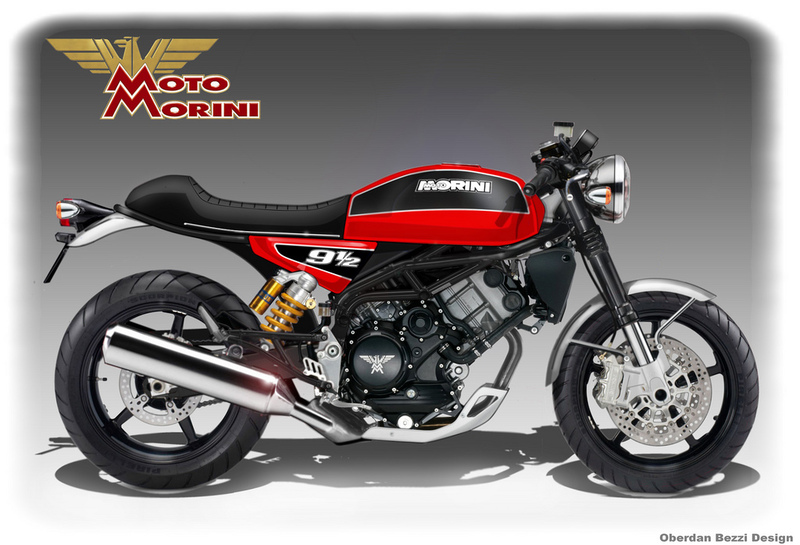 Unfortunately the newly aligned company Moto Morini could not bring itself to the realize the study into series production. It surely would have had many inspired buyers in the actual retro trend. And so it came in the year 2014 that fans took matters in hand and evolved the successful design from Oberdan Bezzi in a smoother way, which is closer to the original. As we couldn’t use his concept without asking, we gathered contact with him for permission. His answer: „I’ m honoured that you choosed my layout as a base.“ Isn’t that the accolade for our troup ? Somehow we are on a roll right now ! In comparison of the two drafts the extended fuel tank and the reduced rear end fall into sight. The exhausts got a crispier angle and pick up the lines of the rear end in a better way. The alloy wheels are replaced by classical spoke wheels and go, together with the engine protection from the Granpasso and the radiator side covers, into the spare shelf; you never know. Forklegs and the shock absorber were optically adapted to the general. 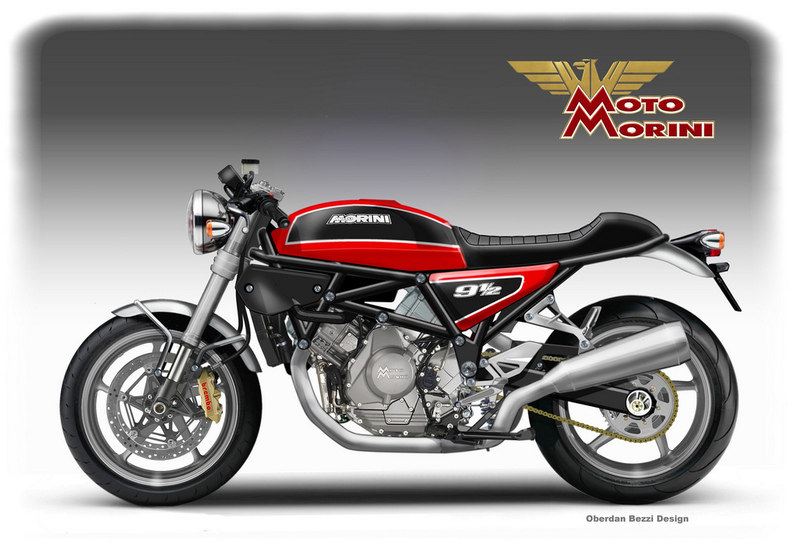 All in all, a very harmonically concept, a dream of a powerful retro racer.